The Serpent Sword – History… the interesting bits! 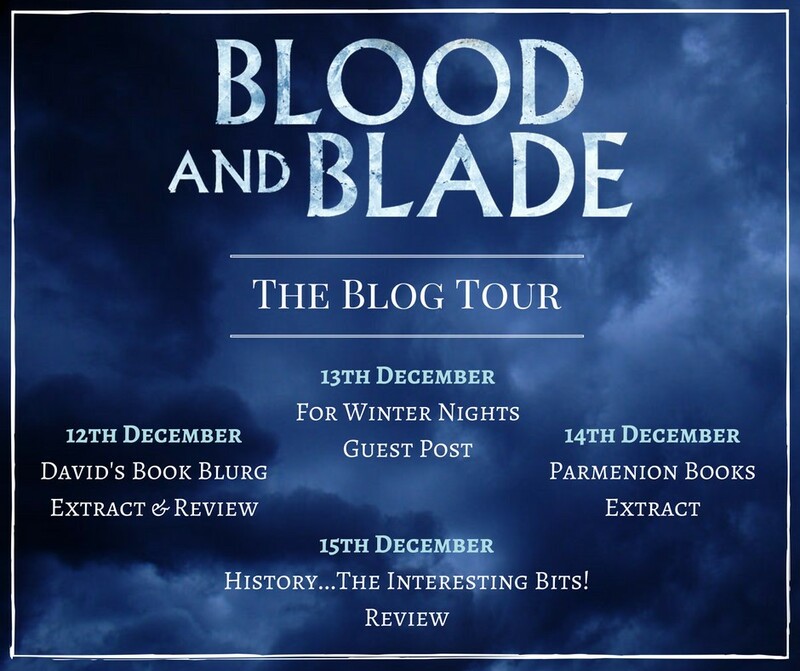 This week I am delighted to be a part of Matthew Harffy‘s blog tour, celebrating the release of his latest novel in the Bernicia Chronicles, Blood and Blade. Beobrand Half-Hand is fast becoming one of my favourite Saxon heroes. Starting with The Serpent Sword, continuing with The Cross and the Curse and now in Blood and Blade his story has told with passion and excitement by Matthew Harffy, with an eye to the great adventure. The author has honed his story-tellling skills to perfection in this 3rd novel of the series. The action continues unabated; from the first words of the opening chapter, Beobrand is in the thick of the fight, both politically and physically. 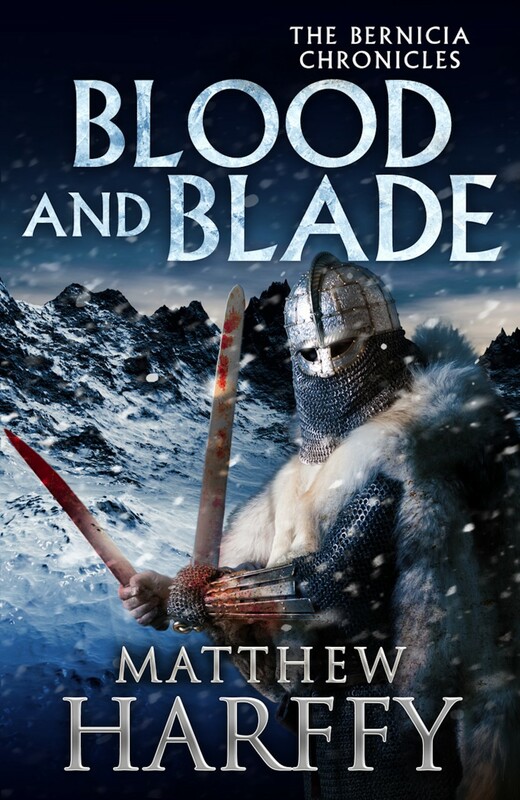 In Blood and Blade Matthew Harffy manages to transport the reader back to 7th century Britain, enveloping you in the Anglo-Saxon era. His knowledge and love of the time and its people shines through on every page and gives the whole book – indeed, the series – a deep impression of authenticity. You are taken on a journey, which encompasses the length and breadth of England, from Hadrian’s Wall to the royal court of Wessex, we follow Beobrand’s journey as a warrior for his king, and courtier to his new queen. The landscape and people of Britain are vividly brought to life. The fight scenes are wonderfully choreographed, enthusiastic and enjoyable. 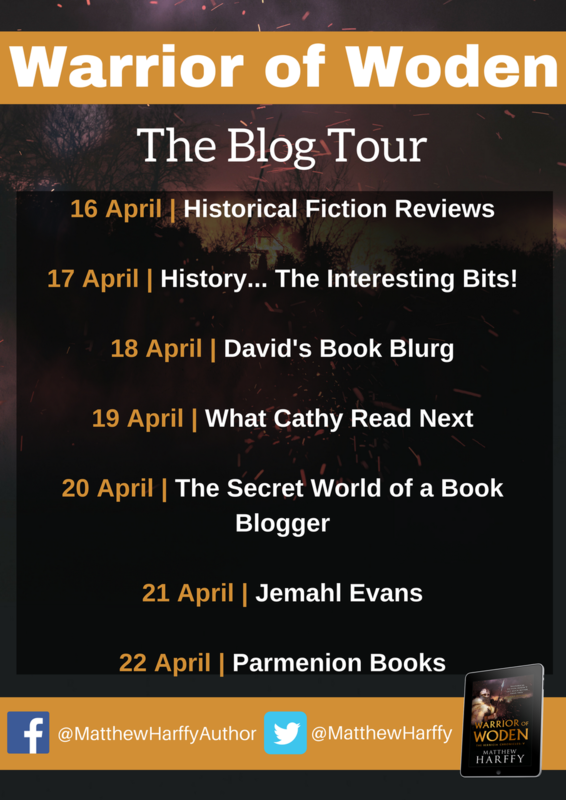 You can almost hear the clash of sword on shield, the screams of the wounded and howls of the warriors – I think I even, physically, flinched in places! For a heartbeat Beobrand saw the firelight glisten on the wicked iron point of the arrow. Torran aimed and held the arrow there momentarily. They were still too far away to attack. With every step though, his chance of missing, or of their byrnies protecting them, lessened. Torran did not answer. His right hand let loose the bowstring and the arrow thrummed towards Beobrand. it flew straight and true. Beobrand watched its flight, a blur of white in the dawn. He saw the arrow come but did not react. He closed his eyes and accepted his wyrd. There was a crash and a clatter, but no impact. No searing pain as the arrow split through metal rings and the soft flesh beneath. Beobrand opened his eyes. For a moment the scene was confusing in the dawn-shadow of the hill. Someone was sprawled on the earth before him. Was it Acennan? No, the short warrior was still at his side. Then the figure groaned and rose up. Teeth flashed in the dark as the face broke into a savage grin. It was Attor. He held a shield in his left hand. From its hide-covered boards protruded that arrow that had been meant for Beobrand. “Seemed you needed saving, lord,” he said, the glee of battle lending his tone a shrill edge. Matthew Harffy has taken great care in developing his characters. 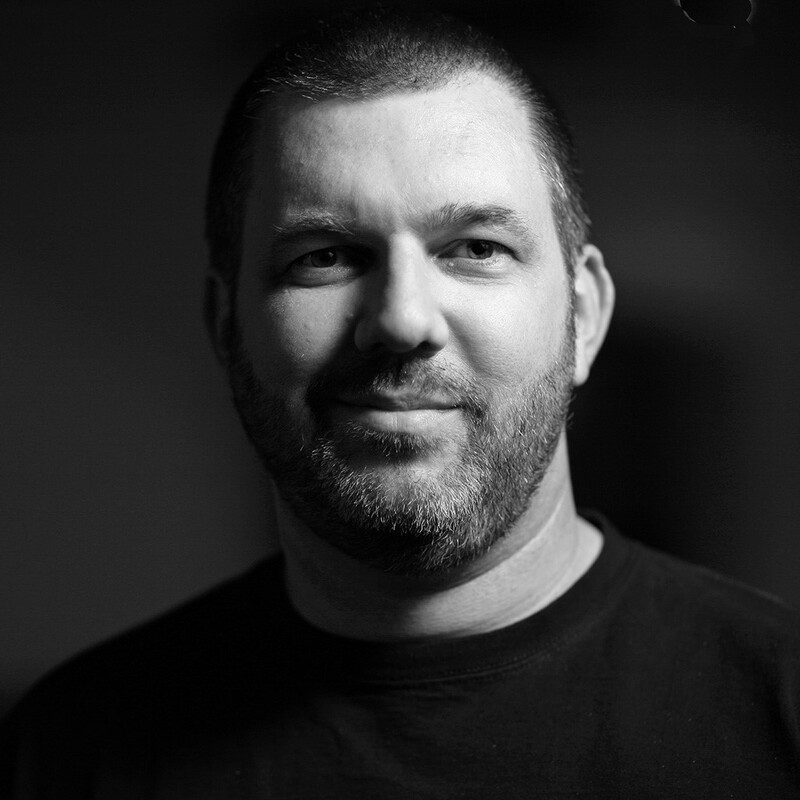 Beobrand has grown older and wiser through his experiences. His battle skills are as keen as ever, while his political acumen and tactical wizardry is proving invaluable to his king, Oswald. His confidence has grown through his success, but the faith of his men and their willingness to follow him wherever he may lead – even if it is into an enemy shield wall. And we learn more about his men. As Beobrand matures, he realises that it is not enough to have men fight for him; he has to learn about their pasts, their lives and their weaknesses. this is the book in which the lives of his friends and followers, such as Acennan, are given more depth and history, making their characters more realistic and human. New characters are also introduced’ some friends, some enemies; they change the dynamic and bring in the promise of some great stories to come. As ever, Beobrand’s enemies are truly despicable, and will stop at nothing to bring the hero down, whether it is with arrow, sword or some more personal weapon. Beobrand has to use all his physical and mental strength to win through. It is hard not to compare Matthew Harffy’s books with those of Bernard Cornwell. Much of the story is set around Bebbanburg (Bamburgh Castle), where Cornwell’s Last Kingdom stories began; but I don’t think that’s a bad thing. Both authors have their own unique styles, but a sense of adventure that will take their heroes on spectacular journeys. Any fan of Bernard Cornwell will find another favourite writer in Matthew Harffy. However, Beobrand’s story is set a couple of centuries earlier and is a truly unique story. The hero of the Bernicia Chronicles will stand up against any Bernard Cornwell could produce. The Serpent Sword, The Cross and the Curse and Blood and Blade are available on Amazon, Kobo, Google Play, and all good online bookstores. Killer of Kings and Kin of Cain are available for pre-order on Amazon and all good online bookstores. Over at the Review today! I recently had the pleasure of reading and reviewing Matthew Harffy‘s debut novel, The Serpent Sword for The Review. 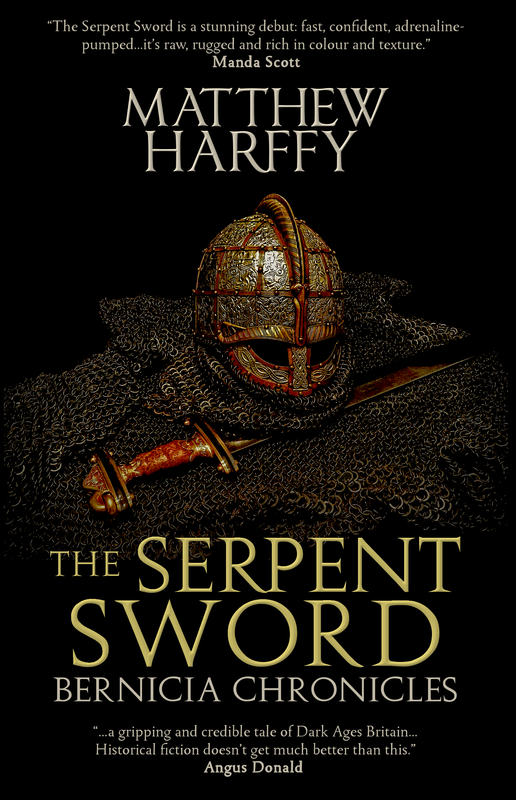 “The Serpent Sword is Matthew Harffy’s debut novel (not that you would know it), and the first installment of his Bernicia Chronicles. Set in the turbulence of 7th century Northumbria, The Serpent Sword is a wonderful story full of action, adventure, betrayal … and just a little romance. 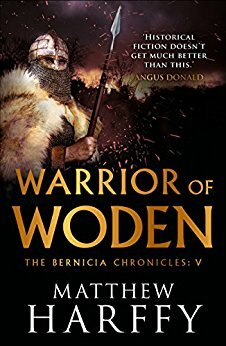 The novel leads you across the countryside of the ancient kingdom of Bernicia, taking you from battlefield, to ancient strongholds or small villages and religious settlements; meeting heroes and villains, friends and foes along the way. The fast-paced action leaves you eager to see how the story ends while experiencing a wealth of emotions along the way. To read the full review, and to be in with the chance of winning a signed copy of the book, just visit The Review and leave a comment. The winner will be drawn on Monday 15th February. Good luck!